You might say I’ve been in a sour mood. I’ve been savoring tart brews these days, whether soured by the yeast used to make them or by the fruit added. Let me tell you about three that have particularly caught my fancy. We’ll start with Rubaeus Raspberry from Founders Brewing. The beer kind of sneaked up on me. At first sip, I’m thinking it’s not very tart, there’s a moderate sweetness and then pow! Lots of fresh raspberry flavors blew through my taste buds, ending with a soft earthy finish. Brewing this with a neutral, light underlying malt was a wise decision by Founders, as it let all those big raspberry flavors shine. One of those rare beers that work both as a thirst quenching lawn mower beer, or something to slowly sip and contemplate. Moving along, there’s Flower Sour from San Jose’s Hermitage Brewing. Hermitage brewer Greg Filippi ages a blonde ale for up to 24 months in French oak barrels and flavors it with a bunch of flowers including rose, hibiscus, lavender and chamomile. Yep, there’s a real depth of floral character to this moderately sour ale, which reveals a little white winey-ness. Sorry, I can’t really tick off of a bunch of flavor characteristics, I was just enjoying this one too much to get into all that. We’ll end with the 2017 version of Almanac Beer’s Farmer’s Reserve Blueberry which uses four, count ’em four pounds of blueberries in each and every gallon. So as you might expect, it has a lot of blueberry flavors, rounded out with a little sweetness, a slight tartness, a noticeable peppery spiciness and a barely detectable earthiness. It’s a fascinating composition that screams “blueberry” but it’s all those different, barely noticeable accents surrounding the blueberries that really makes this one work so well. It’s pretty amazing how much Almanac Beer accomplished as a contract brewery, borrowing brewing equipment at a few locations to create their unique, farm to bottle style. So it’s pretty exciting to see what they’ll accomplish now that they have their own brewery that’s just opened in Alameda in a World War II area warehouse they share with Admiral Maltings. Perhaps the best thing about writing about beer visiting breweries, talking with brewers and learning their craft. The hour I recently spent with Almanac’s Jesse Friedman was a top notch clinic in that respect. Behind the farm-to-bottle ethos is a lot of careful process coupled with science, and it really pays off in beer infused with all sorts of character from the meticulously sourced ingredients, many from California farms. You’ll be able to read all about it in an upcoming issue of Edible East Bay. For now, here’s a few shots from inside Almanac’s new brewery. Running a marathon, plus lots of work and family commitments have slowed down my beery explorations lately. However, I’ve still had time to sample some new brews to ramble about them in my little corner in the online world. So let’s get to it! 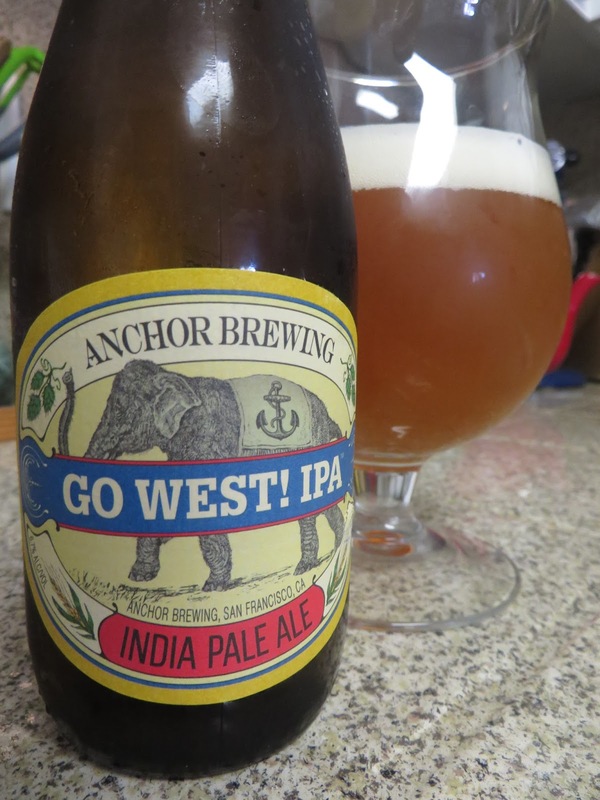 We’ll start with Anchor’s new IPA foray, Go West!. Anchor has an interesting history with IPA’s. Anchor arguably launched the whole IPA thing in America with their Liberty Ale. Even though it was released in the 1970’s, Liberty Ale still holds up today as a strong example of the style. A not so strong example of the IPA in my seldom humble opinion is Anchor’s unnamed IPA, which I find rather timid and underwhelming. There’s no such problem here, Go West! hits all the classic West Coast IPA notes, full of punchy grapefruit and pine flavors, and a slightly resinous finish. Presumably, the marketing folks at Anchor hope an exclamation point does a lot more for this beer than it did for Jeb Bush. 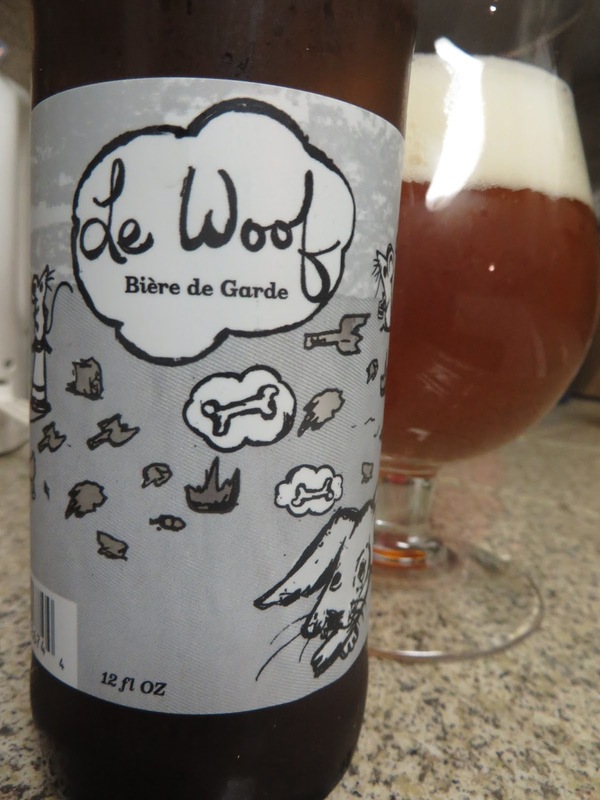 Next up, Le Wolf Biere de Garde from Chicago’s Off Color Brewing. I found this toasty, yeasty, estery concoction just a real pleasure to sip. It’s a little on the sweet side, and at 7.3% abv, offers a real kick. Fruity esters dominate. I picked up some apricot and peach, but it was more one unique flavor not easily broken down into components. A few folks on Beer Advocate noticed pear. It’s one of those beers you can analyze for hours, or one you can enjoy without thinking about it at all. 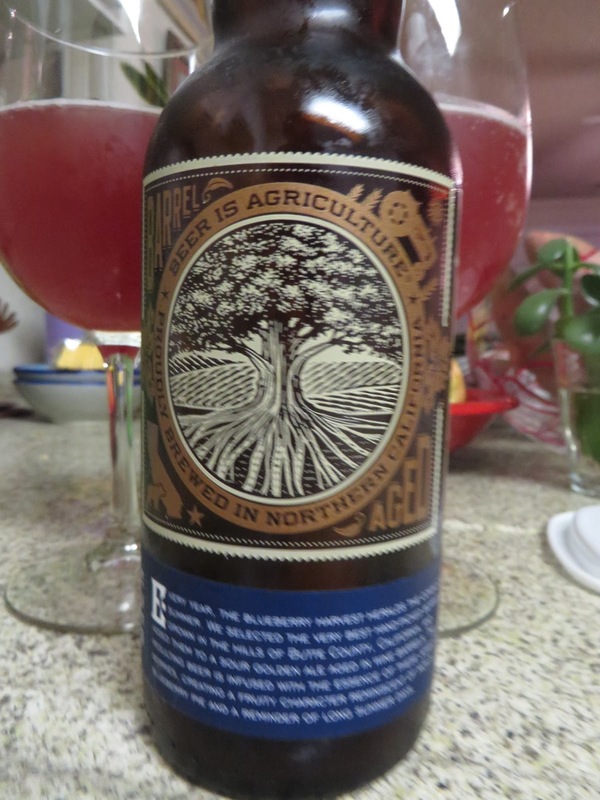 Last, but hardly least is Almanac Farmer’s Reserve Blueberry. Ho hum, Almanac put out another excellent barrel-aged brew. Almanac first brews their house sour ale, and then racks it to a secondary fermentation in wine barrels filled with Northern California blueberries. There it sits for a few months, picking up the blueberry flavors and a nice purply color. Sipping the result, the blueberries served as a light accent to the wine, oak and moderately strong sourness. It’s balanced, all the flavors playing nicely together rather than popping out on their own. What else can I say, it’s another example of the usual Almanac magic.